Sonya Shannon has had a successful career as a digital effects artist and educator that spans Canada, the USA, and Asia. She graduated from the prestigious classical animation program at Sheridan College and taught computer art and 3-D computer animation in the MFA programs at School of Visual Arts and Pratt Institute in New York City. Her distinctive style is shaped by her training in hand-drawn animation, expertise in digital color, and work on the frontier of special effects. Highlights of her career include effects on “Star Trek III: The Search for Spock,” a stint as a creative director at Broadway Video (home of “Saturday Night Live”), and a pioneer digital version of Josef Albers’ “Interaction of Color,” shown at the Guggenheim Museum in New York. Her long-time work as an I-Ching reader led Sonya to create the Transformation Oracle. As a spiritual healer, Sonya has worked with survivors of childhood abuse and serves as a ULC Minister. She has published articles on computer animation and digital art, as well as select poems. Sonya is currently working on a graphic novel. Meet Sonya and see her artwork at an upcoming event. 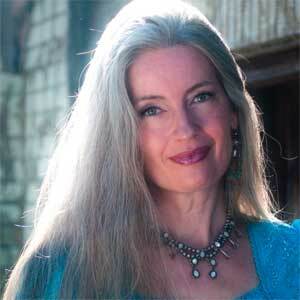 Check out Sonya’s blog about how she creates art, spiritual guidance, and mystic musings.